Movie lovers certainly know that Russia is one of the countries famous for its film art. Since the Soviet Union, this country has often been awarded international film awards. Of course this is motivated by directors, script writers, and very talented actors. Film creators don’t hesitate to spend fantastic amounts of money. With large capital, it turns out the benefits they get are also very large. Lots of old Russian films that are still in demand by modern society. Examples such as the Moscow film Does Not Believe In Tears and The Irony of Fate. The film has received various international awards and is still suitable to be enjoyed by modern film lovers. Although the film was released in 1975 and 1980. The film can last up to 43 years. Russia is not only famous for horror films with interesting lines. However, Russia also has a myriad of melodrama genre films that can slice your heart, and of course make your tears flow. Melodrama is indeed a genre of film that is very popular with various groups. Especially for adult and teenage women. Melodrama provides a sensation that other genres cannot do. You are able to cry even though you know it’s just acting. But that is how melodrama can bewitch anyone. In addition, melodrama also often provides moral values ​​and mandates that are very beneficial for the audience. In this article, we will provide some of the best Russian melodrama that you can make reference to. Before watching one of the following melodramas that we recommend, it’s better to provide tissue first. Here are 4 russian melodrama that will tear your heart out. 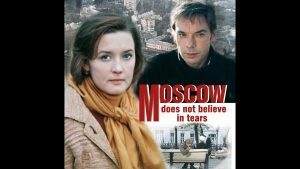 The first Russian melodrama film to tear your heart out is Moscow Does Not Believe In Tears. This legendary film was directed by Vladimir Menshov and written by Valentin Chernykh. The main character in the 140-minute film is played by Vera Alentova and Aleksey Batalov. The film won the academy award for the best foreign language film in 1980. Does Not Believe In Tears tells the story of 3 young women who came to Moscow from small towns namely Katerina, Lyudmila, and Antonina. They live together in a worker-only apartment and then become friends. Lyudmila and Antonina have ambitions to get the ideal man in Moscow. And finally they dated and invited Katerina (Vera Alentova). However, Caterina was pregnant because of an accident. He has a daughter, Alexandra from Rudolf. However, Katerina left with her daughter to leave rudolf. And finally after 20 years, he really fell in love with Gosha (Alexsey Batalov). The three of them moved and lived happily. However, Rudolf reappeared bringing misery in the lives of Katerina and Gosha. Then what is the end of this story? If you are curious about the end of this story, you should immediately watch this legendary Russian movie. You must witness how the struggle of Katerina and Gosha defended their love from the evil Rudolf. This film is quite a tear and certainly an interesting experience for you. The next movie is still with an old Russian movie that is very legendary. Dark eyes is a Russian and Italian language film directed by Nikita Mikhalkov, a phenomenal director with various world-recognized works. This film was adapted from Anton Chekov’s story, The Lady With The Pet Dog. The 118-minute Russian melodrama movie was released on September 9, 1987 in two countries, namely Russia and Italy in 3 languages, Russian, French, and Italian. Dark eyes is the most famous Mikhalkov film outside Russia. the film tells the story of a married Italian man who falls in love with a married Russian woman too. Their love story is a forbidden love story filled with a dilemma between love and obligation to the family. The film stars talented actors Marcello Mastroianni and Yelena Safonova. If you are curious about the ending of this story, you should immediately watch it. We won’t tell whether they are united or not. Mikhalkov included Russian exotics with gypsy songs in this film to introduce Russian culture to the world. and this film became very successful abroad and in Russia. Matroianni received an award as the best male actor at Cannes and got an Oscar nomination. And this film also made it into the Golden Globe nomination. If you claim to be a true lover of melodrama, you must watch this classic Russian movie! If you want to see how the development of Russian melodrama movies from the past to the present, without Me is the most appropriate suggestion. Without Me is a film directed by Kirill Pletnyov in the melodrama-thriller genre. Kirill Pletnyov is a popular Russian actor who just started his career behind the scenes. But he managed to create a unique melodrama and will tear your heart out. Without me tells of two girls who love the same man, but after the death of the man, both of them begin to receive messages from other worlds. Finally they decided to travel together to solve the mystery. This story is really full of mystery and of course this ending will make your heart cut. Are you curious? Immediately download this movie! Melodrama genre films do not always tell stories about love. One of them is the Cranes Are Flying. The Soviet film released in 1957 tells the story of World War II. The film shows the atrocities of war and the damage experienced by Soviet society due to World War II (known as the Great Patriotic War in the Soviet Union). The 97-minute film was directed by Mikhail Kalatozov, who came from Georgia and starred Aleksey Batalov and Tatiana Samoilova. The film won the Palme D’Or at the 1958 cannes film festival. The film received a fantastic income by successfully garnering 28,300,000 spectators in Russia and 5,410,000 spectators in France. With a fantastic audience, of course you are sure that this film is really interesting. Those are 4 Russian melodrama that will tear your heart out. After watching the films that we present to you, you will realize that Russian films are growing and always quality. Old Russian melodrama films are no less interesting with modern films. That is why old Russian films are very famous in the world. Those are 4 references to Russian melodrama movies that we present to you. You have to download these movies if you are a true melodrama movie lover. Enjoy watching!